Well who wouldn't want to watch Pahud play Haydn's "Oxford" Symphony No. 92 ?! Thanks to the GFC-chatter who pointed out that the video is free merely for signing in with email, creating a password, and indicating your location. The Berlin Philharmonic Concert Hall and click on free video. They are having an online free viewing if you sign in only. Look on the right when you arrive. 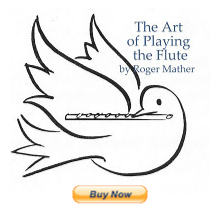 The scoring is for a single flute, and there are great moments to enjoy. Pahud even pulls off some jazzy snazzy at the end of the slow mvmt. What marvellous playing. Pahud manages to efforlessly swing through all the roles, and look like a Swiss tennis player at the same time. What a wonder. Yes, it looks like there might be a thrilling Brahms One on the end, but alas, for some reason my Brahms One isn't "free" but about $12 to watch. And if your video stream seems to stall and resume every two minutes, like mine did, switch to less resolution, which is the smallest of the three squares shown in graphic by the pause button. Enjoy!